Will LinkedIn Become the Next Great Online Video Land Rush? Insights: Will LinkedIn Become the Next Great Online Video Land Rush? This installment of Insights is brought to you by Zype. 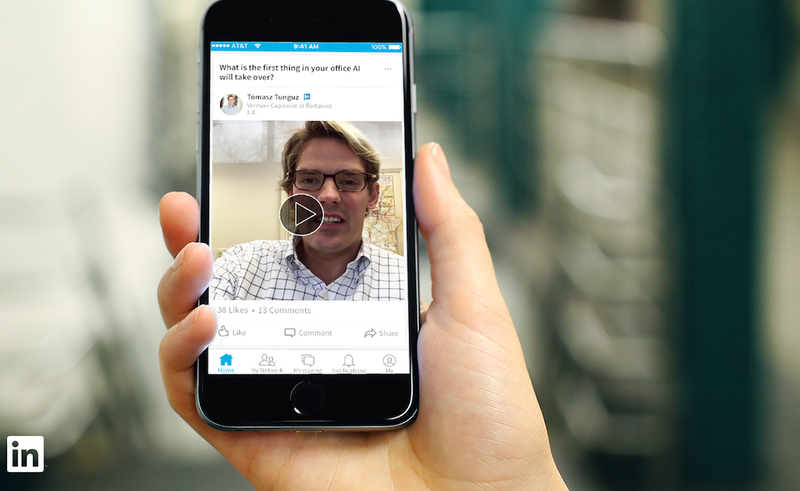 LinkedIn just announced that it will begin hosting native video on its site. You may shrug, but this could be huge, depending on how new owner Microsoft exploits this opportunity. Done right, it could create a new class of creators and genres, as a compelling new distribution platform emerges for bespoke business-oriented videos of many kinds. To start, let’s review what happened when Facebook went native. You remember Facebook, that little startup with 2 billion users. But maybe you don’t remember when it pivoted to native video three years ago, finally letting people upload video directly to its site, rather than only linking out to content playing on YouTube or elsewhere. Actually, “letting” is the wrong term. Facebook, infamously predatory when it comes to Playing Well With Others, effectively forced the transition, changing its algorithm to give native video an advantage. People who continued linking out saw viewership of their posts plummet. Brands and other social-media smarties got the hint. In April of 2014, Facebook was serving up 4 billion video streams a day, 70 percent of them native, to what was then a mere 1.4 billion users. By November, the number of daily streams had doubled. Since then, Facebook has aggressively moved into mobile video and live video. Now, it’s moving into original “TV” programming, to compete with Netflix and Hulu and Amazon and, oh yeah, those traditional networks. So what’s this mean for LinkedIn, the business-focused social-media site best known for connecting job-hunting strivers with companies hoping to fill vacancies? LinkedIn says it has half a billion users in more than 200 countries and territories (recent estimates are that about one-fifth of them are “active”). After last year’s staggering $26 billion acquisition, new owner Microsoft is knitting LinkedIn profile information into its other enterprise software, such as Outlook emails and Skype messages. Adding a heftier video component to LinkedIn could be powerful in workplace and job-hunting settings, though I would expect pushback from some users, especially when ads get wrapped around those videos, as they inevitably will be. Facebook’s analytics approach, coupled with its huge audience, forced many creators to radically change the way they crafted their videos compared to what they put on YouTube. No longer did they have time for a leisurely opening and friendly greeting. Creators began adding immediate “gotcha” images, text overlays with come-on language, and other tricks to get people to pause in their newsfeed long enough to catch at least those precious three seconds. LinkedIn is using many of the same approaches. 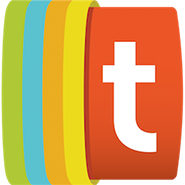 Videos of up to 10 minutes in length can be uploaded through the company’s mobile app, and will autoplay silently within its newsfeed. Views, as with Facebook, count after three seconds. There are a few differences: Basic viewer stats will be visible to everyone, not just to creators, and videos can be horizontal or vertical. Uniquely, LinkedIn will provide creators with key professional information about their video’s viewers, including titles and companies for some of the most notable audience members. That’s a potentially compelling set of data points that business-oriented video creators can’t really get anywhere else. I’ll be interested to see how a new class of creators takes advantage of the deep audience information LinkedIn can provide, so they can fine tune their work. If the transition to online video, especially mobile, has been all about providing creators and advertisers deeper audience data than TV ever could (and it has), this represents a big next step. And though LinkedIn has been knocked as late to the party, it’s joining at a very good time: mobile video viewing this year will outstrip, for the first time, online video watched on “fixed” devices such as Smart TVs and computers, says Zenith Media. The average viewer will spend more than 47 minutes a day watching video online, Zenith projects, and mobile viewing will comprise 29 minutes of that. Overall, Zenith says mobile video viewing is up 35 percent this year. I’ll also be interested to see if new kinds of stars and genres emerge. When Facebook went native, it fueled a very different set of popular genres from YouTube’s fashion, unboxing, life-vlogging and similar stars. For instance, foodie video sites such as Tastemade found huge audiences on Facebook, boosted by the very different demographics and user experience there. I expect we’ll see something like that happening as a new group of workplace-oriented creators begin pumping out appropriate LinkedIn video content in areas such as job-hunting, training, human resources, marketing, sales and communications. They’ll find a highly focused and quite large audience that also should be motivated to watch. And for once, watching videos at work won’t get you in trouble, unless you’re looking for that next gig. This installment of Insights is brought to you by Zype. Zype makes it easy for content owners to build and manage successful direct-to-consumer video businesses. The platform supports both Video On Demand and live video, multiple integrated monetization models and turnkey automation that simplifies video workflows. Visit www.zype.com to request a demo.